Natalie received her Bachelor of Arts in Music from Emory University and completed her Masters of Music Education (M.M.Ed.) and Music Therapy equivalency at the University of Georgia. 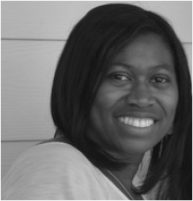 She is a Board Certified Music Therapist and is licensed to practice in the state of Georgia. Natalie completed specialized training with The National Institute for Infant and Child Medical Music Therapy and has worked with various populations, including premature infants, Alzheimer’s and Dementia patients, substance abuse clients, school-aged children with autism and developmental delays, cochlear implant recipients, adults with developmental delays, and children with severe emotional behavioral disorders. Natalie is also a certified music teacher in the state of Georgia and works with pre-K through grade 12 special needs students in the Fulton County school system. She is a member of the American Music Therapy Association (AMTA) and the Music Therapy Association of Georgia (MTAG). She has served as the President of MTAG, and is currently the Continuing Education Chair for the South-Eastern Region of AMTA (SER-AMTA) and the Council Coordinator for Professional Practice for the American Music Therapy Association (AMTA) . Natalie resides in Fayetteville, GA with her family.